What Does Your Front Door's Color Say About Your Home? 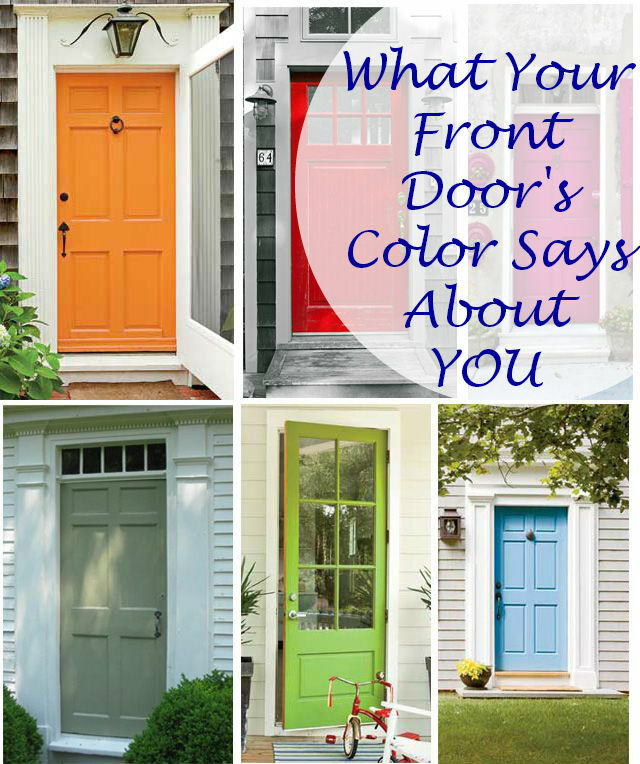 What Does Your Front Door's Color Say About You? The entrance way of a home is the first thing people notice. Much like a tie defines an outfit, a front door sets the tone for a home and establishes a focal point. A front door is symbolic of an entry point where energy, opportunities and abundance will greet us. Who knew a color choice could have such an impact?! Traditionally, blue has been symbolic of sky, water and abundance. It is also known to conjure up feelings of safety, refuge and retreat. Consider using blue to give your home a feeling of prosperity. Green suggests health, tranquility and harmony. Choose a shade of green to reflect feelings of comfort and peace. Black is a power color. When used on a front door it conveys strength, power and authority. Red has traditionally been a symbol of welcome when used on front doors. Otherwise, the color is associated with passion, energy and excitement. Brown is a natural choice. The warm look of wood conveys stability and reliability. A yellow front door tells passersby you are bold, energetic and full of merriment. It's a fun, attention grabbing choice. Purple is a color associated with opportunity, positive energy and good luck. It may be a good choice if you're hoping to attract good fortune. Follow Our board Tips of the Trade on Pinterest.